Ubisoft will be eliminating paper manuals entirely from its game releases in an effort to reduce gas emission and paper use. Instead of traditional paper manuals, Ubisoft will begin placing digital manuals within the games themselves. Not only will this prevent your little brother from losing them whenever he borrows your stuff, but it will also allow for more comprehensive guides. "Ubisoft is continually looking for methods to be a more environmentally conscious company, and the implementation of digital game manuals will be beneficial for both the environment and the consumer," Ubisoft Vice President of Operations Rich Kubiszewski said. "In terms of the environment, the implementation of digital game guides and recycled DVD cases for Ubisoft's PC titles will save trees, energy, reduce greenhouse gases and promote the use of sustainable materials. For the consumer, having digital game manuals allows Ubisoft to create a more robust manual that is easier to use and it also eliminates the damage of loss of paper manuals." Under the new system, the game manual will be embedded directly into the game and accessible via the main menu. This means players will not be required to go online to figure out how to play the game, and will have an added bonus of never worrying about lacking a manual should they buy the game used. This will not, Kubiszewski said, affect any in-game tutorials, which will remain available for those who don't want to read through the manual. While Ubisoft does expect a decrease in production cost by cutting the manuals, it's unsure if the company will experience a decrease or increase in overall production cost due to the more in-depth game manual, Kubiszewski said. Whatever the case, however, the cost for consumers will remain the same. Currently, the Wii and DS are excluded from the manual-less conversion, just as only PC games will be making use of the new cases. Eventually, Kubiszewski said, all games will receive this more ecologically-friendly treatment. 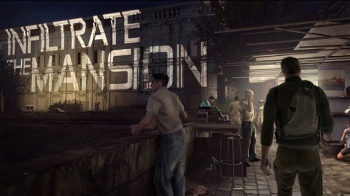 Ubisoft is also introducing new, recycled cases for its PC game lines, which will start with the April 27 release of Splinter Cell: Conviction.